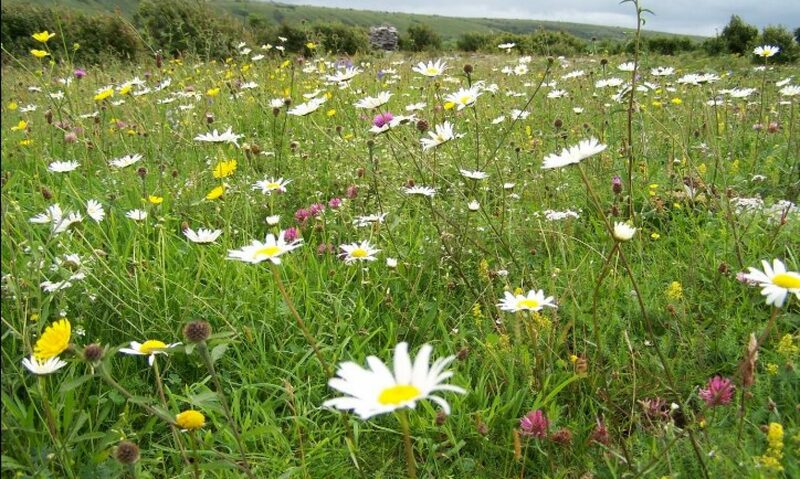 October 2018 continues mild, gentle and pleasant, easing the transition from the scorching summer to whatever winter holds. Whatever this winter throws at us, October is producing really impressive moth numbers. Among the selection being trapped are the following autumn species. These are subtly coloured, reflecting the earthy tone of the season. 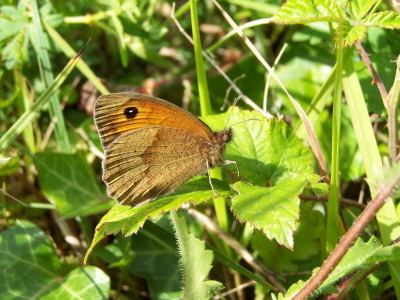 Late butterflies continue to be seen, especially Red Admiral, Small Tortoiseshell and Speckled Wood but there might be a surprise species flying, so keep looking. 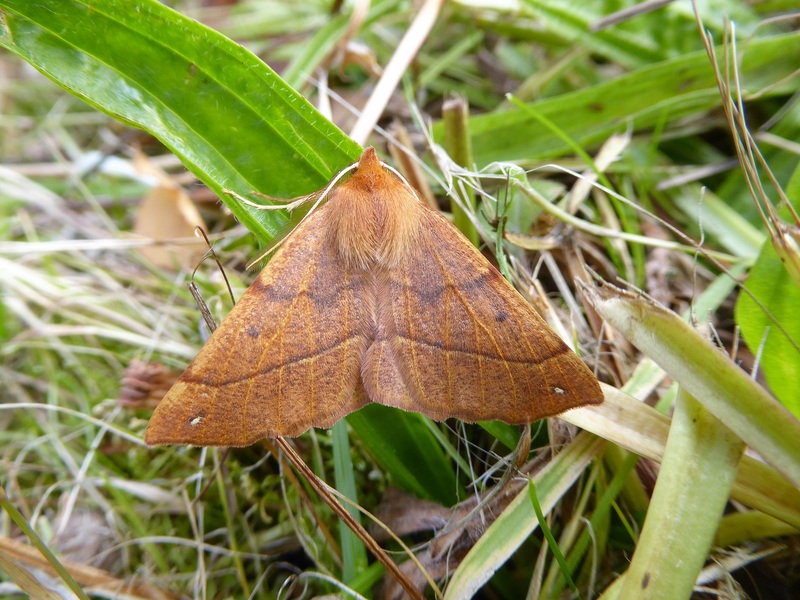 Feathered Thorn. 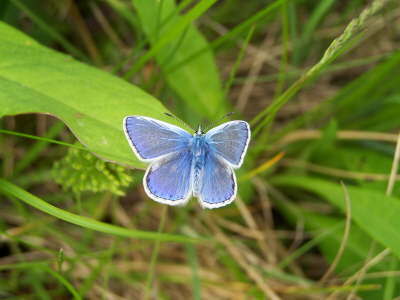 This moth flies from mid-September to early December. 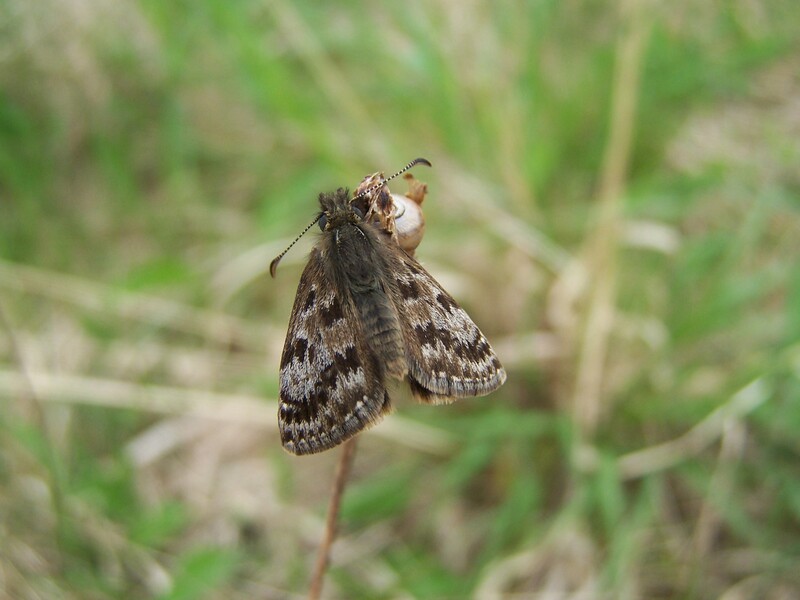 The moth lays its eggs on a range of deciduous trees, including Pedunculate Oak (this tree has stalked acorns and short-stalked leaves; the Sessile Oak has these characters in reverse), Common Hawthorn, Common Blackthorn, Common Hazel and Downy and Silver Birch, as well as willows. This moth is sometimes seen in car headlights. 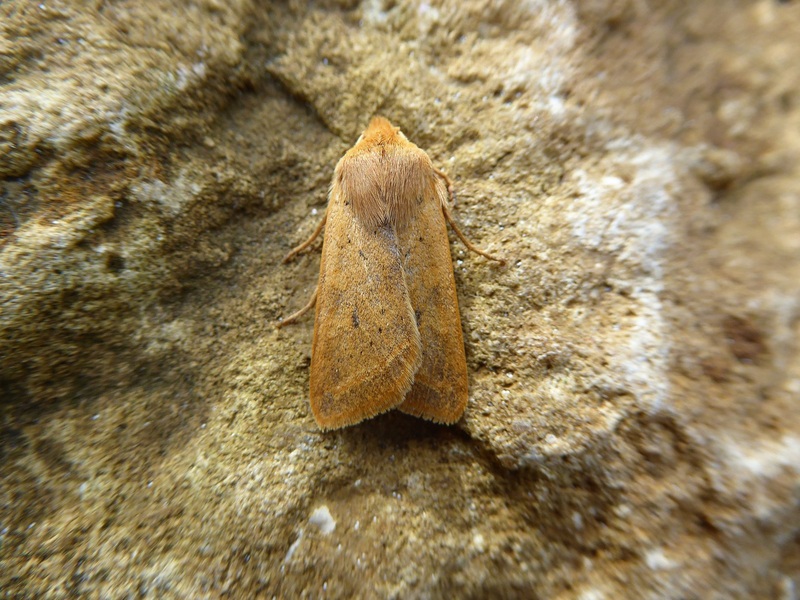 Yellow-line Quaker. 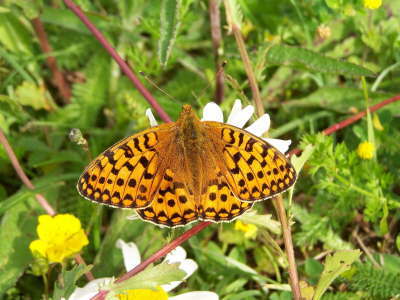 This also flies from September to December, uses many of the same plants for breeding as the Feathered Thorn and also comes to light traps. 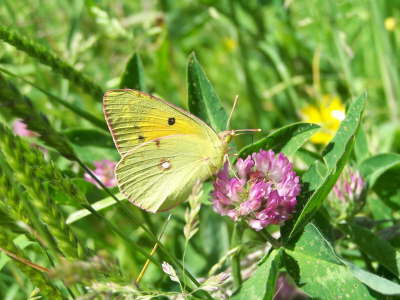 This species enjoys ivy nectar, so do not cut flowering ivy! Figure of Eight. 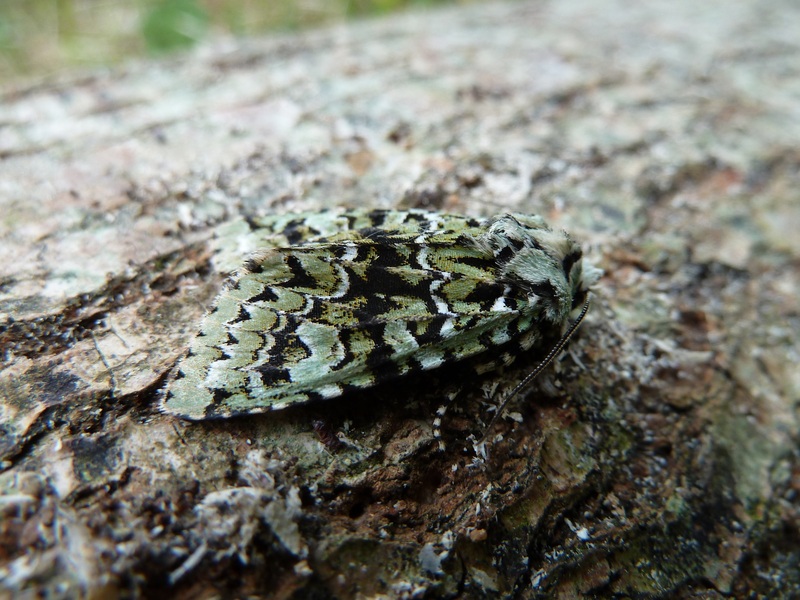 This moth, named for the 8 marks in the central area of the forewing flies from late September to mid-November and uses blackthorn, hawthorn, wild roses and cultivated prunus species (plum, Bullace, pear) for breeding. 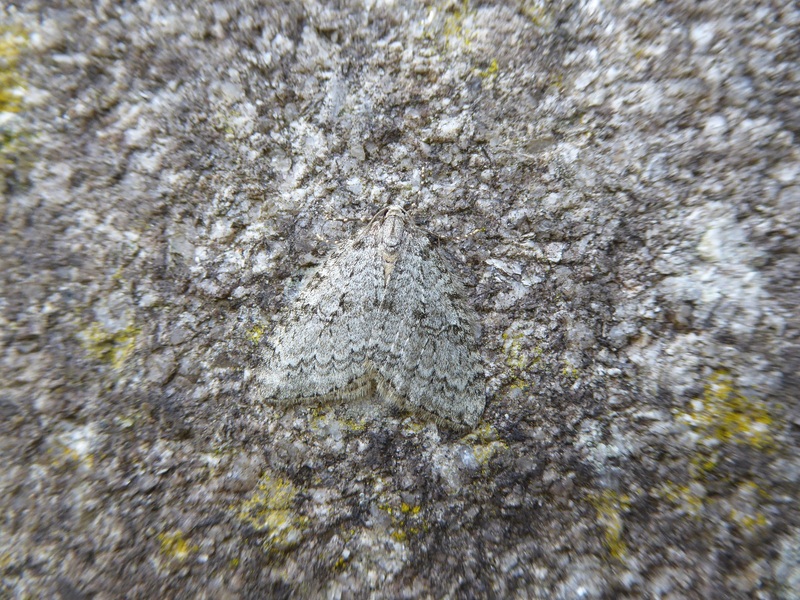 Despite the ready availability of the larval host plants, this moth is seldom numerous in Ireland. It usually appears in my trap in single figures but in one year I had it in high numbers, but that is not usual. Grey Pine Carpet. This species has two generations of adults which fly from May-July and from September-November but in my area, I have seen only one generation, the autumn brood. 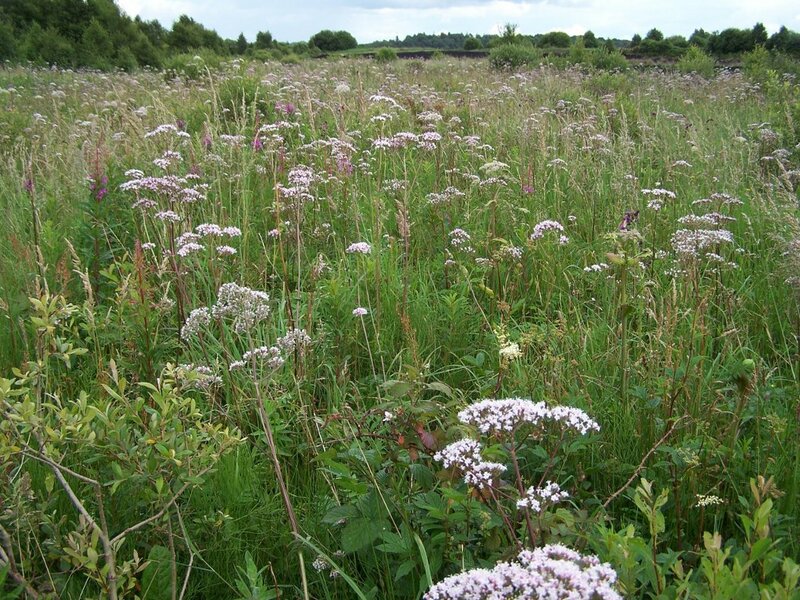 It uses a range of native and non-native coniferous trees as the larval foodplant. It appears to have increased due to the planting of conifers on a large scale. November Moth. 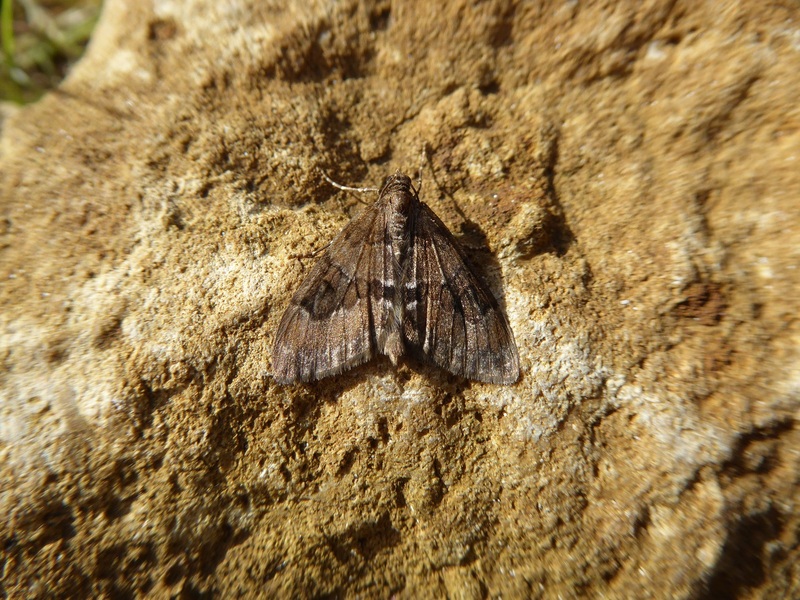 This autumn moth flies early October-November and can be numerous. It will be found on walls beneath outdoor lights and at windows. It feeds on the trees listed for Feathered Thorn. 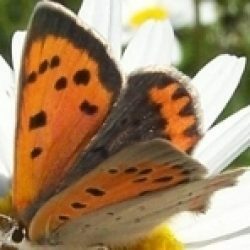 It is easily confused with the Pale November Moth, Autumnal Moth and Small Autumnal Moth, and examination of male genitalia is used to separate these moths. Merveille du Jour. 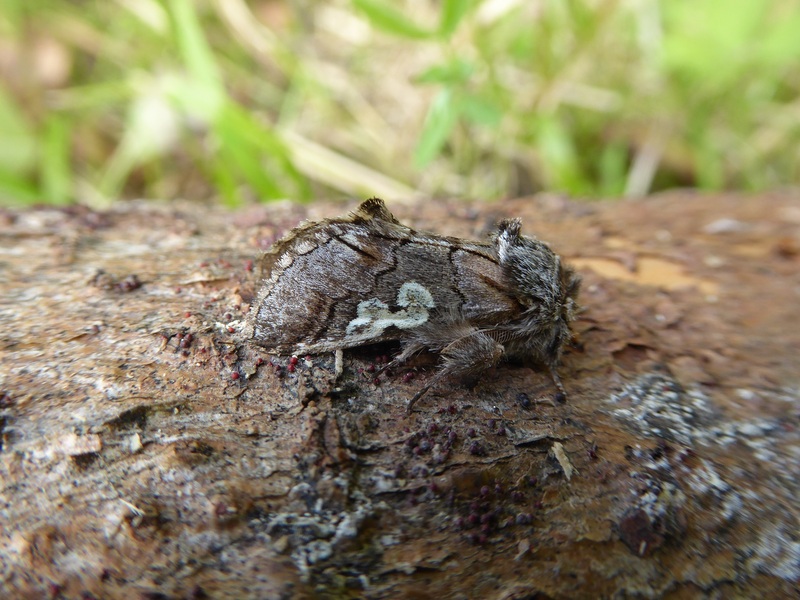 This unmistakeable and beautifully coloured and patterned creature is a highlight of the moth enthusiast’s autumn. 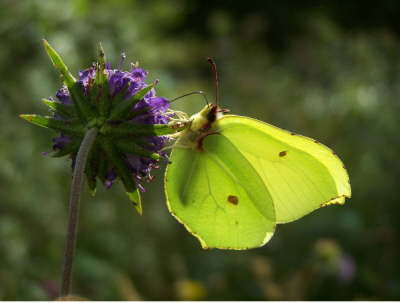 Seldom present in great numbers, it is a treat to obtain a very fresh example as the green colour fades rapidly. 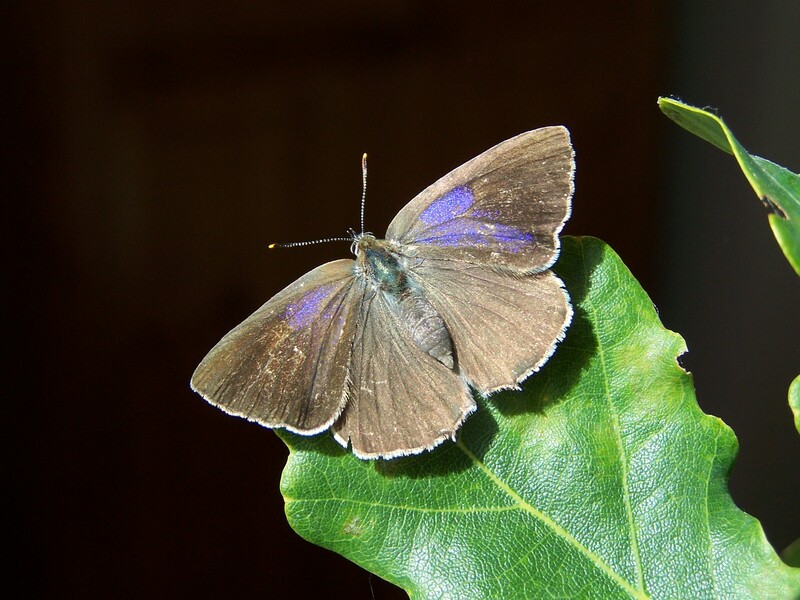 It is on the wing in October and September and favours broad-leaved woodland containing Pedunculate Oak, the larval hostplant. 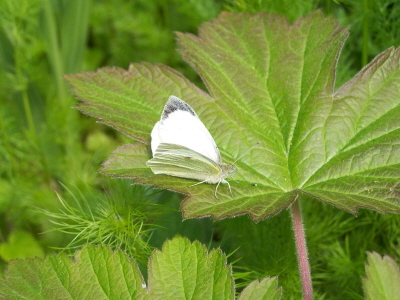 The moth likes ivy nectar and the juices of overripe berries. And now for a surprise! 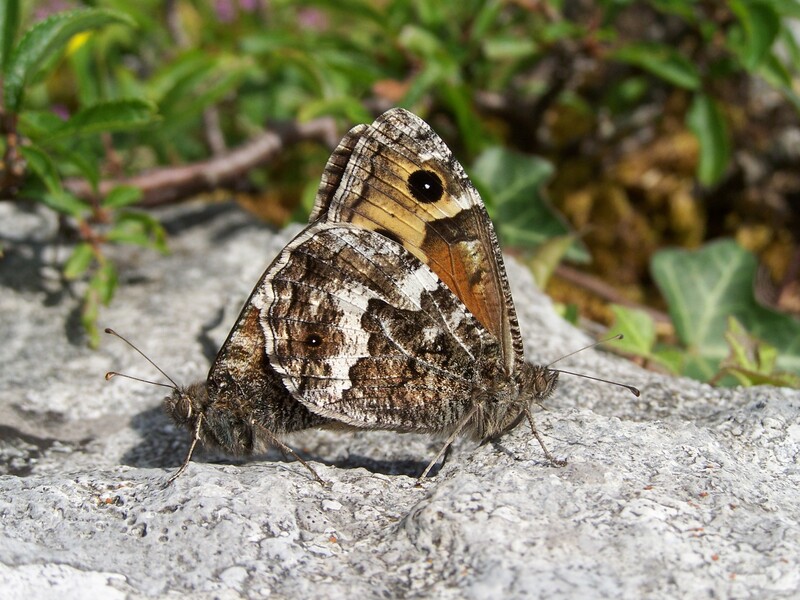 Occasionally Wall Browns are seen in October after a small number of second generation larvae develop quickly to pupate in September rather than passing the winter in the larval state. 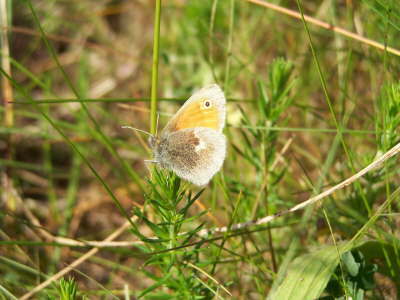 It is not known whether eggs laid in October result in larvae that reach the required weight to survive the winter. 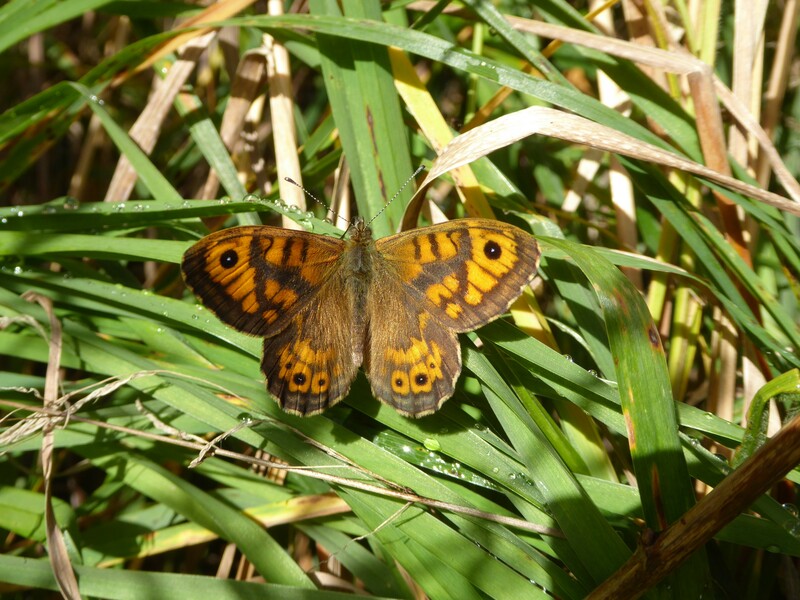 However, seeing Wall Browns in October is a refreshing experience and a keen reminder of summer.